Many times our relationship with God is similar to the relationship we had with our natural father, that may have lacked closeness, because our dad was absent physically or emotionally. Our present so-called high Biblical standards and sacrificial commitment to God may be more about us trying to be noticed by a distant God, because we have yet to truly accept His unmerited love for us. Ironically the Lord has to deliver us from what seems like our very commitment to Him, in order to bring us to Himself. This is similar to what happened when Jesus let His disciples see Him die right before their eyes. 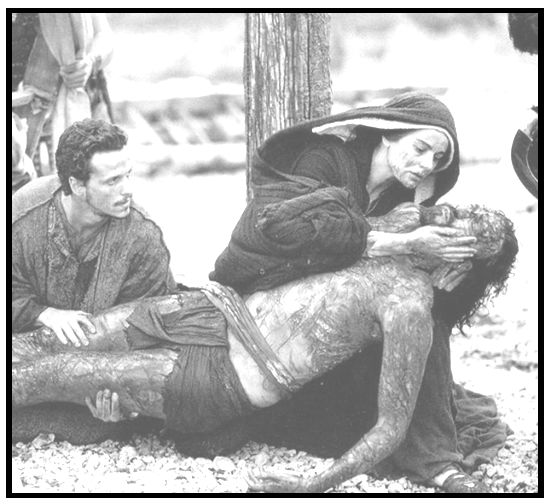 The Jesus they knew and loved, as awesome as He was, wasn’t the full representation of all He was. Jesus is so much more. God wisely has to allow our “Jesus”, our Christian formulas, our systematic theology, our dreams and our faith in other people, to die in our eyes. This needs to happen for us to fully embrace the true, resurrected Christ in His fullness. As the Lord worked to circumcise our outward flesh-nature and behavior like smoking, drinking, and a life of promiscuity in the Outer Court, He begins to carefully cut and circumcise our souls (the self-life) as well in the Inner Court. This painful cutting is actually like a pruning that will produce more life. Truly, except a grain of wheat falls into the ground and dies, it abides alone (John 12:24). Just as the seed may feel like it is losing everything, it is about to become everything it was destined to be. We will all experience this kind of death as we approach the veil that separates us from knowing God more intimately and experientially. It’s not until we are drawn by the Lord, to go even deeper in our relationship with God that we discover the impurity of our prideful motives. Here we discover the seed-bed of all sin (pride or self-sufficiency) . Here we discover what really needs to die in our nature internally, not just the external surface sins. This process is usually initiated through great trials and tribulations and is often accompanied by great disappointments or prolonged suffering. This is God’s graduate school of heaven that we call Roadkill Seminary. If it were not for the suffering and trials, we would probably be content to stay in the place of Salvation or Service (typical Christianity in America) where we just learn more knowledge without obtaining significant personal transformation. It is God’s gift to us to draw us into this difficult, unfamiliar wilderness (see Deuteronomy 8:2). Posted in Most Popular Articles and tagged Candor, Christian Maturity, Death of Self, Discipleship, Jeff Krall, Jesus Dies, Prophectic on September 22, 2013 by Jeff Krall.